Doris E. (Link) Sielski, a pioneering female pharmacist, contributed to the health field in a much more personal way. She was a volunteer participant in the Women's Health Initiative, a long-term National Institutes of Health study of women that began in 1993. "It was the first study they did to see the effects of hormone therapy on women after menopause," said her daughter Martha Opper. "And my mother said she was doing that for us." "She always knew it was not for her benefit, it was for us and her granddaughters," said her other daughter, Lucy Miller. In her later years, Mrs. Sielski suffered many of the side effects of hormone treatments that were detected by the study, her daughters said. 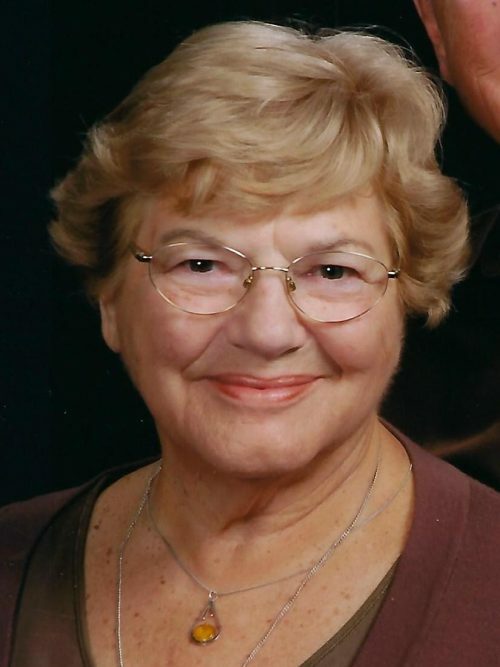 Mrs. Sielski, of Williamsville, died March 20, 2019, in Brothers of Mercy in Clarence, where she had lived for two weeks. She was 92. She was born in Syracuse, the daughter of Raymond and Donella (Clarke) Link. She and her twin, Dorothy, became the big sisters of Marjorie, Janet and Robert. Mrs. Sielski graduated from Purdue University in 1948 with a bachelor's degree in pharmacy, one of a small number of female students in her class, her daughters said. "There were a few other women in her class, but they were definitely in the minority," said Martha Opper. "My mother was always a trailblazer," said Lucy Miller. At Purdue, she met her future husband, Steven Sielski of Buffalo, who also graduated with a bachelor's degree in pharmacy. The two were married Feb. 19, 1949, in her home parish in Syracuse, then moved to Western New York. The family lived on Lafayette Boulevard in Amherst for some 60 years as their children Stanley, Martha, Lucy, Raymond, Benjamin and Paul joined the family. Mrs. Sielski earned her New York State pharmacy license in 1948 and held it until 2004. Her first job was in the pharmacy at Millard Fillmore Hospital on Gates Circle, where she compounded medications, her daughters said. Then, after having "four children in a row," Martha Opper said, Mrs. Sielski resumed part-time work at Soby's Pharmacy in Buffalo and later at a branch in Cheektowaga. After that, she worked part-time at Glen Pharmacy and Main Village Pharmacy in Williamsville, followed by Harris Hill Pharmacy and Getzville Pharmacy. The Sielskis knew the owners of the small, privately owned pharmacies, their daughters said, so she could work when she was needed. Mrs. Sielski's husband was a pharmaceutical rep for Eli Lilly who visited doctors' offices. "My father and my mother were a great combination," said Lucy Miller. With their common professional background and diverse daily experiences, they had a lot to talk about at home, their daughters said. A devout Roman Catholic, Mrs. Sielski was a longtime member of Ss. Peter and Paul Church in Williamsville and its St. Ann's Sodality. She hosted a weekly Bible study in her home for members of the Christian Women's Club of Amherst. She was also a board member of the National Alliance for the Mentally Ill and belonged to the Pharmacists Association of Western New York. Both Mr. and Mrs. Sielski loved opera and traveled to New York, Toronto and Chautauqua for performances. She was a member of the Opera Buffs of Western New York. She was also a member of the Polish Arts Club. An avid skier, Mrs. Sielski belonged to the Buffalo and Concord ski clubs and encouraged her grandchildren, nieces and nephews to learn to ski. The family took several ski vacations together, her daughters said, part of their mother's interest in encouraging them to stay close. In the 1960s, Mrs. Sielski was a Girl Scout leader in Williamsville. A member of the Purdue Alumni Association, Mrs. Sielski welcomed Purdue students and alumni, into her home, her daughters said. "She was passionate about Purdue University, and she was always happy to meet Purdue graduates," said Lucy Miller. The family attended many Boilermakers football games, her daughters said. Mrs. Sielski's husband, Steven Sielski, died in 2015. Besides her daughters, she is survived by her sons, Stanley, Raymond, Benjamin and Paul Sielski; a sister, Janet Frazer; a brother, Dr. Robert Zimmer; five grandchildren; and many nieces and nephews. A Mass of Christian Burial will be offered at 9:30 a.m. Tuesday at SS Peter and Paul Church, 5480 Main St., Williamsville.